Located in Switzerland, close to the French border at the end of Lake Geneva (also known as Lac Leman), Geneva is a truly beautiful location and one of my favorite cities in the world. Clean, well run and safe, it has a micro climate of its own – which often means that it can be raining in the nearby mountains but not in the city. Ideal for a weekend break or a romantic few days, it is linked by rail, lake and air to destinations throughout Switzerland and beyond. It is often said that Switzerland is expensive, but by being sensible and astute you will find Geneva a reasonably priced city. When you arrive at your hotel, you must ask for the free transport card which you can use throughout your stay. This will provide you with bus, tram, rail and lake transport within the Geneva district extending out to Zone 10. Make sure that you pick up a map to go with the card from the tourist office, which is in the Post Office Building close to the lake. While in Geneva, visitors should see the attractive Old Town and the Parc Mon Repos, which can be reached by one of the small ferry boats that go from the Paquis next to the Hotel Kempinski. Just along the front from here is the delightful Bains des Paquis with its café and sunny terrace. There are some excellent shops in the center of town, and bargains can be had in the large Co-op store in the middle of the city. The Manor department store on the other side of the River Rhone is also well worth a visit for food and bars of Swiss chocolate. Globus, the Co-op and Manor department stores all have excellent souvenir departments. There are plenty of seats along the lake and a whole selection of bus tours. Take a good pair of walking shoes with you as most of the sights are within easy reach. There are plenty of places to stay in Geneva. By Swiss standards prices are average; however, with a bit of negotiation you may be able to get a good deal. 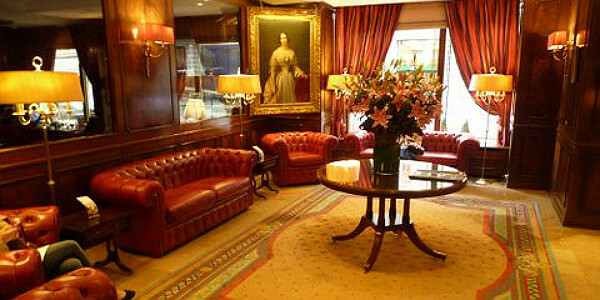 I stayed in the Hotel Bristol, which is a few steps from the lake in the Rue du Mont Blanc. The rooms are well appointed and you have the option of a simple coffee and croissant or a full buffet breakfast. Offering guests champagne and a harpist, the hotel is well run with an extremely helpful staff. It is also close to the railway station. There are a whole range of other establishments in the city, but it is best to try and find one close to the lake or in the Old Town. You can definitely find some affordable dining options in the city. Rather than having an evening meal, concentrate on lunchtime. The Co-op has a self-service restaurant with plenty of main courses around 10-12 Swiss francs, while the café at the Bains de Paquis has a superb view of the lake and the city and offers alfresco dining at a knock-down price with fondues in the evening during the autumn and winter months. There are also lots of reasonably priced eating places close to the station including Au Petit Chalet, which sells a range of different rostis. Drinks vary in price around the city and in the Park Mon Repos expect to pay around 4 Swiss francs for a Swiss beer or coffee, but less in department stores and side street cafes. The city has its fair share of clubs and bars, but there is nothing better on a pleasant evening than promenading with the locals along the lake. You can also dig deep into your pocket and taking the evening steamer on the lake itself. Including a meal, this will cost somewhere in the region of 100 Swiss Francs, but it is an experience you will not want to miss. The transport system in the city is totally free for tourists. Some of the most entertaining forms of transport are the tiny yellow ferry boats which ply between the different jetties. Take the M3 and M4 from Parquis, which goes over to the other side of the lake and then back to the park. From here it is just a short walk or bus ride into the city. The railway station is also well placed with connections along the lake to Lausanne, Montreux and beyond. And of course don’t forget to pick up your free train ticket into the city before you leave the baggage claim area at the airport. The city center is just a short train ride from the airport. 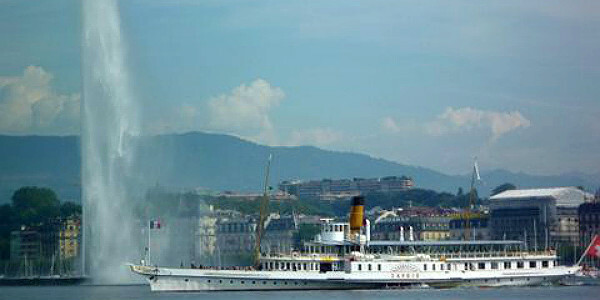 How To Get There: Geneva International Airport (GVA) is approximately 3 miles to central Geneva. The airport is serviced by over 50 domestic and international airlines, including Air Canada, easyJet and United Airlines. Nonstop flights to Geneva are available from New York, Toronto and Washington, D.C.Downtown Geneva can be easily accessed by using the Unireso train or bus system. The train ride is between 6 and 12 minutes. Information regarding area transportation is available here. Best Time To Visit: The summer months is the peak season in Geneva with long days and clear views of Lake Geneva, Mont Blanc and the Swiss Alps, as well as citywide activities and festivals such as the Lake Parade in June and the Fêtes de Genève in late July/early August. The other peak season is of course winter for the ski enthusiasts, between January and March, when hotels can get sold out a month in advance. The city gets less crowded during shoulder season in April, May, October and November, and you would get better hotel and airfare deals during this time. Just be sure to check the weather for the occasional rain. Check out Geneva Tourism & Conventions Foundation for more local happenings.